Salvation is the foundation by which the gospel message is preached and is the greatest gift of love ever given. This message is to be told throughout the world and brings peace, hope, and joy to all who will believe. What does your home life say about your family? Does it represent a spiritual unit of household members who love, respect, and honor Jesus Christ as the Lord and Savior of their lives? Are your family members saved, and if not, how are you presenting the gospel to them and living out your Christian faith before them? These are important questions and concerns you must have as a believer in Christ. We want to know that we, along with everyone of our family members, will be in heaven, rejoicing and fellowshipping together with Jesus for all eternity to come. This also is part of our spiritual values in life, as well as the basis of having a Christian home. If you have never been saved, or know of others who are not saved and wish to tell others of this great gift, then it is very important to know the truth of the gospel message first before accepting it and passing it on to others. 1 John 5:11-12, it says, "And this is the record, that God hath given to us eternal life, and this life is in His Son. He that hath the Son hath life; and he that hath not the Son hath not life." John 5:24 says, "Verily, verily, I say unto you, He that heareth My word, and believeth on Him that sent Me, hath everlasting life, and shall not come into condemnation; but is passed from death to life." Acts 4:12 says, "Neither is there salvation in any other: for there is none other name under heaven given among men, whereby we must be saved." John 14:6 says," Jesus saith unto him, I am the way, the truth, and the life: no man cometh unto the Father, but by Me." John 3:16-17 says, "For God so loved the world, that He gave His only begotten Son, that whosoever believeth in Him should not perish, but have everlasting life. For God sent not His Son into the world to condemn the world; but that the world through Him might be saved." 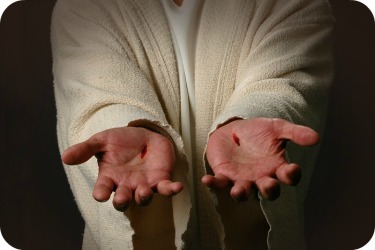 Isn't it wonderful to know that God loved you this much and has given you a chance to be saved by allowing His own Son, Jesus, to die on the cross for you in your place, and to shed His own blood in which to atone for your sins. BELIEVE--You must first believe in Jesus Christ, believe that He died on the cross for your sins, and that He rose from the dead on the third day. Acts 16:31 says to "Believe on the Lord Jesus Christ, and thou shalt be saved..." Jesus said in John 6:47 "Verily, verily, I say unto you, He that believeth on Me hath everlasting life." And again He said in John 5:24, "Verily, verily, I say unto you, He that heareth My word, and believeth on Him that sent Me, hath everlasting life, and shall not come into condemnation; but is passed from death unto life." Also, John 8:24 says," I said therefore unto you, that ye shall die in your sins: for if ye believe not that I am He, ye shall die in your sins." Finally, our Lord proclaims this same message in John 3:36 when He says, "He that believeth on the Son hath everlasting life: and he that believeth not the Son shall not see life; but the wrath of God abideth on him." CONFESS--You must then pray and confess your sins to God, asking Him to forgive you of those sins. 1 John 1:9 tells us that, "If we confess our sins, He is faithful and just to forgive us our sins, and to cleanse us from all unrighteousness." James 5:16 also says to "Confess your faults one to another, and pray one for another, that ye may be healed. The effectual fervent prayer of a righteous man availeth much." Furthermore, there is Proverbs 28:13 which says,"He that covereth his siins shall not prosper: but whoso confesseth and forsaketh them shall have mercy." Also Romans 10:9-10 declares, "That if thou shalt confess with thy mouth the Lord Jesus, and shalt believe in thine heart that God hath raised Him from the dead, thou shalt be saved. For with the heart man believeth unto righteousness; and with the mouth confession is made unto salvation." REPENT--In salvation, it is necessary and vital to repent of your sins, which simply means to completely change your mind about doing wrong, and turn away from your sins--not just turning over a new leaf in life. Consider these following verses: Mark 1:15 says, "And saying, the time is fulfilled, and the Kingdom of God is at hand: repent ye, and believe the gospel." Also, there is 2 Peter 3:9 that says, "The Lord is not slack concerning His promise, as some men count slackness; but is longsuffering to us-ward, not willing that any should perish, but that all should come to repentance." Additionally, Acts 17:30 commands us, "And the times of this ignorance God winked at; but God commanded all men everywhere to repent." Then there is Luke 13:3 which says, "I tell you, Nay: but, except ye repent, ye shall all likewise perish." Also in Romans 2:4 it says," Or, despisest thou the riches of His goodness and forbearance and longsuffering; not knowing that the goodness of God leadeth thee to repentance? And, finally, in 2 Corinthians 7:10 it tells us," For godly sorrow worketh repentance to salvation not to be repented of: but the sorrow of the world worketh death." ACCEPT AND RECEIVE--After believing, confessing, and repenting of sin, you then accept and receive the free gift of salvation by means of your faith and God's divine grace. By being a child of God, you are given all the wonderful benefits of His great love, protection, provision, grace, mercy, and so much more than that! You are ushered into His divine and holy kingdom, and sealed by the Holy Spirit, who will now dwell inside you. The following are passages of scripture which will help you understand it more clearly in reference to salvation: John 1:12 says,"But as many as received Him, to them gave He power to become the sons of God, even to them that believe on His name." Then it says in Acts 2:38, "Then Peter said unto them,'Repent, and be baptized every one of you in the name of Jesus Christ for the remission of sins, and ye shall receive the gift of the Holy Spirit." Also in Galatians 3:26 it tells us," For ye are all the children of God by faith in Christ Jesus." Furthermore, in Ephesians 2:8-9 it states to us, "For by grace are ye saved through faith; and that not of yourselves: it is the gift of God: Not of works, lest any man should boast." Additionally, there is Psalm 103:2-6 which tells us, "Bless the Lord, O my soul, and forget not all His benefits: Who forgiveth all thine iniquities; Who healeth all thy diseases; Who redeemeth thy life from destruction; Who crowneth thee with lovingkindness and tender mercies; Who satisfieth thy mouth with good things; so that thy youth is renewed like the eagle's. The Lord executeth righteousness and judgement for all that are oppressed." 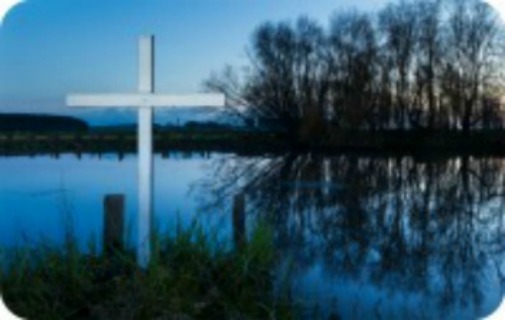 Baptism is not a requirement of salvation; however, as a believer in Christ, you will want to be obedient and follow Him in believer's baptism as well. It is representative of "taking off the old, and putting on the new". In salvation you are "putting on Christ", therefore the symbol is there in water baptism. With water immersion you are not just washing away the dirt, but it is a symbol of cleansing yourself (body, soul, and spirit) and coming up from the water refreshed and anew. Jesus was immersed in water by John the Baptist, and so we are following in His footsteps, by His lead. Galatians 3:27 says," For as many of you as have been baptized have put on Christ." Romans 6:3-4 tells us," Know ye not, that so many of us as were baptized into Jesus Christ were baptized into His death? Therefore we are buried with Him by baptism into death: that like as Christ was raised up from the dead by the glory of the Father, even so we also should walk in newness of life." Acts 2:41 says," Then they that gladly received His word were baptized: and the same day there were added unto them about three thousand souls." Finally, within this great and divine plan of salvation, it is important to know and to be completely assured that God remembers your sins no more, just as it tells us in His Word through these verses: 1 Thessalonians 5:23 which says," And the very God of peace sanctify you wholly; and I pray God your whole spirit and soul and body be preserved blameless unto the coming of our Lord Jesus Christ." Also it says in Psalm 103:12," As far as the east is from the west, so far hath He removed our transgressions from us." I love this verse. Isn't that exciting? Also, Romans 6:14 tells us," For sin shall not have dominion over you: for you are not under the law, but under grace. "And, lastly, in Ephesians 1:17-19, we are encouraged,"That the God of our Lord Jesus Christ, the Father of glory, may give unto you the spirit of wisdom and revelation in the knowledge of Him: The eyes of your understanding being enlightened; that ye may know what is the hope of His calling, and what the riches of the glory of His inheritance in the saints, and what is the exceeding greatness of His power to us-ward who believe, according to the working of His mighty power..."
This divine doctrine--the doctrine of salvation is the ONLY thing that will give you hope for having any kind of peace, joy, and satisfaction within your soul. This is the complete truth and the ONLY way to everlasting life with God. It is through Jesus's shed blood that there is remission of your sins and redemption through the work He did on the cross for you. I strongly urge you, if you are not saved, listen again to the gospel message: believe, confess, repent, accept and receive. Then follow Him in believer's baptism. Be sure to find a church that teaches this true fundamental message and fellowship with other believers. After salvation it is important then to tell others of what God has done for you through your own testimony. He will help you and send you to those who need to hear the gospel. May God bless you for obeying Him and continue to do the work He sent you to do, for His purposes and glory.